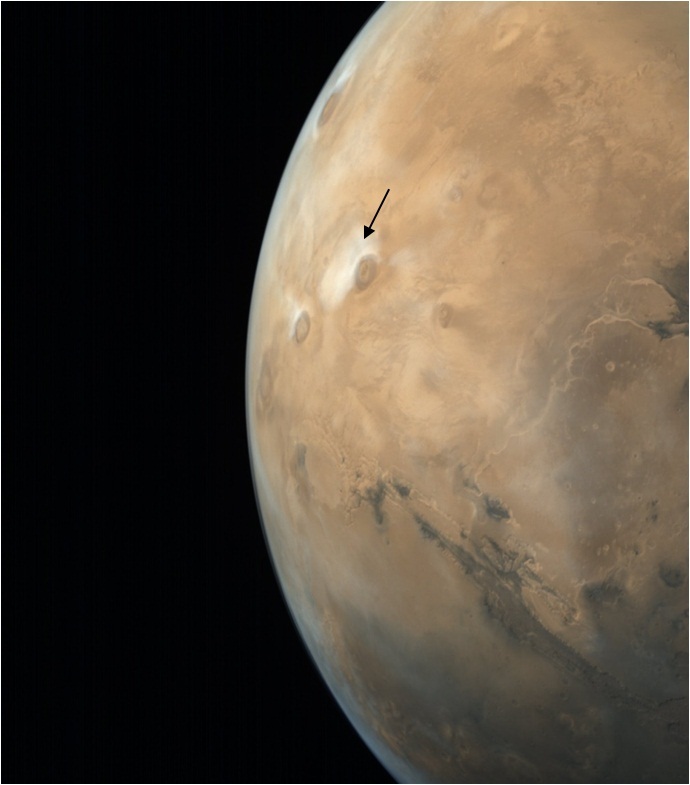 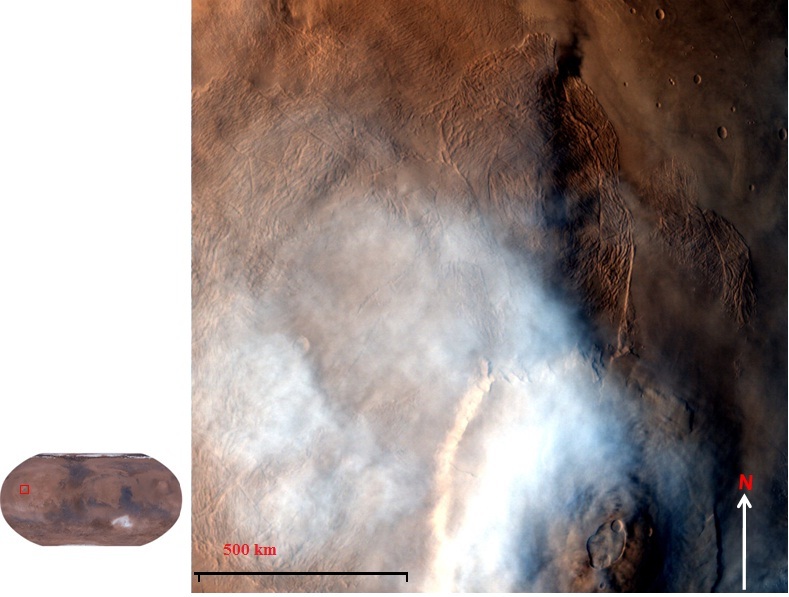 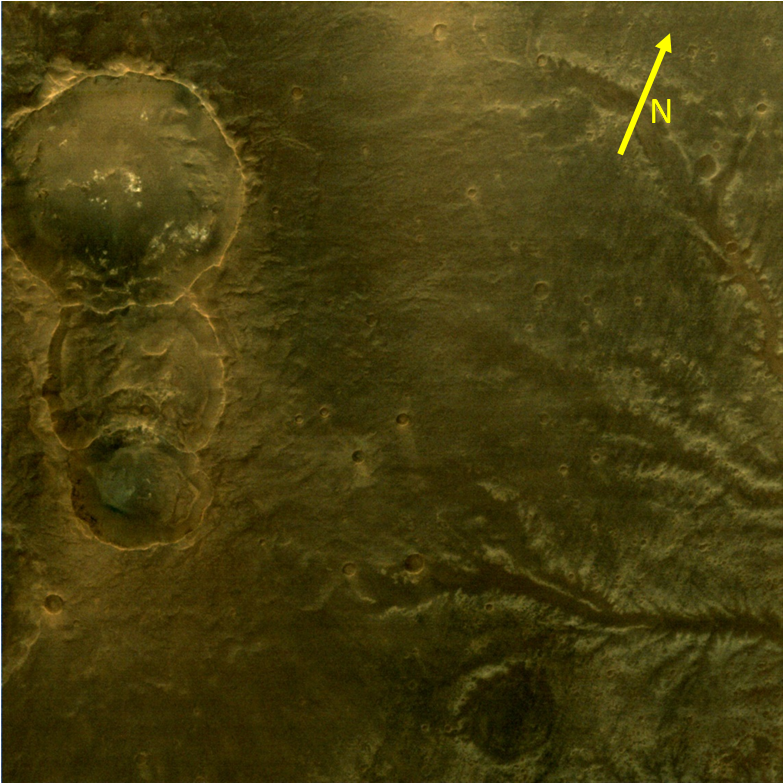 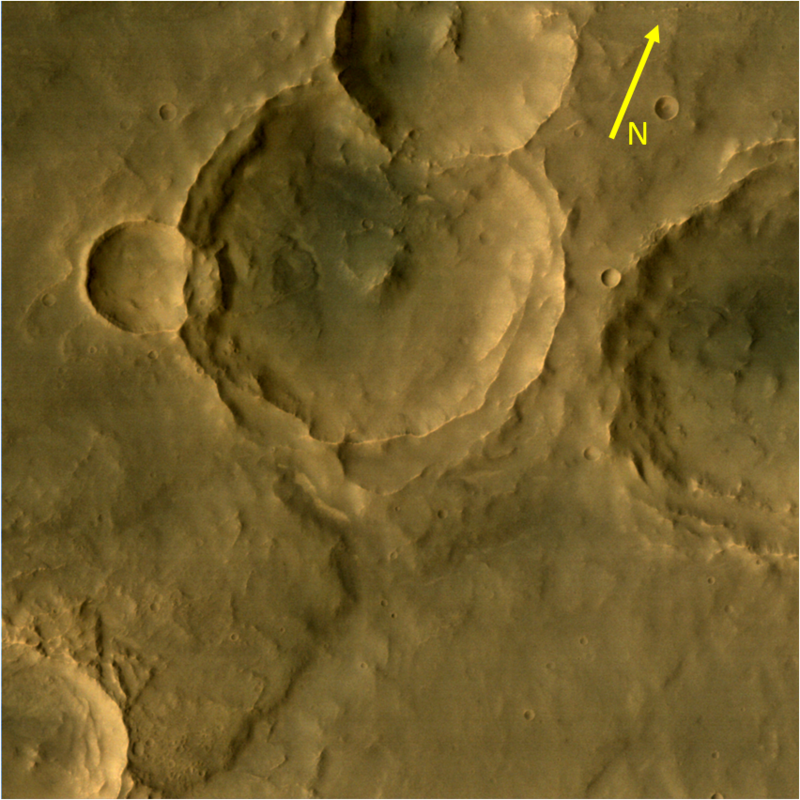 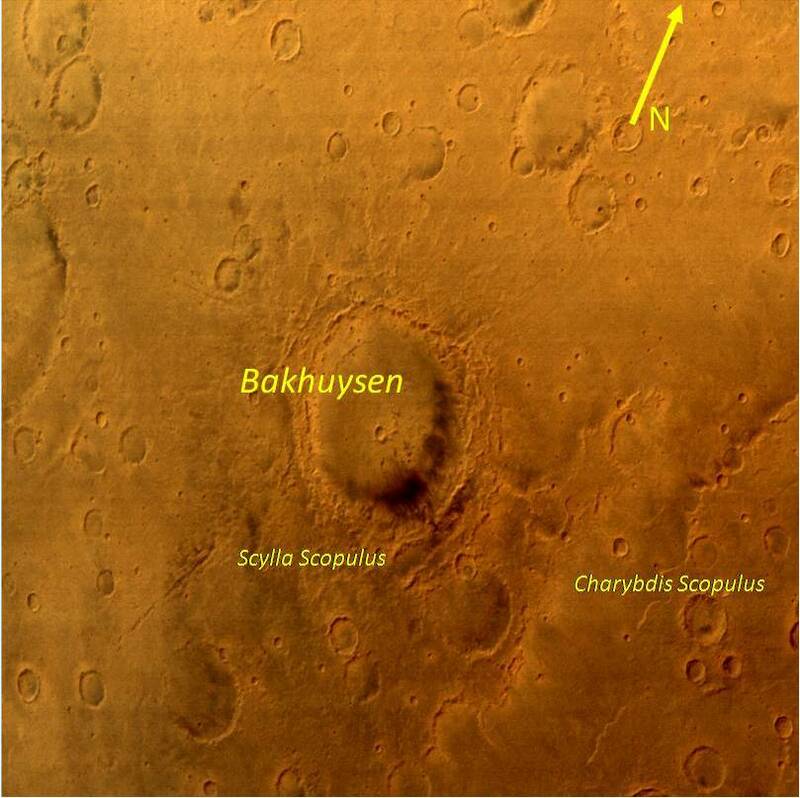 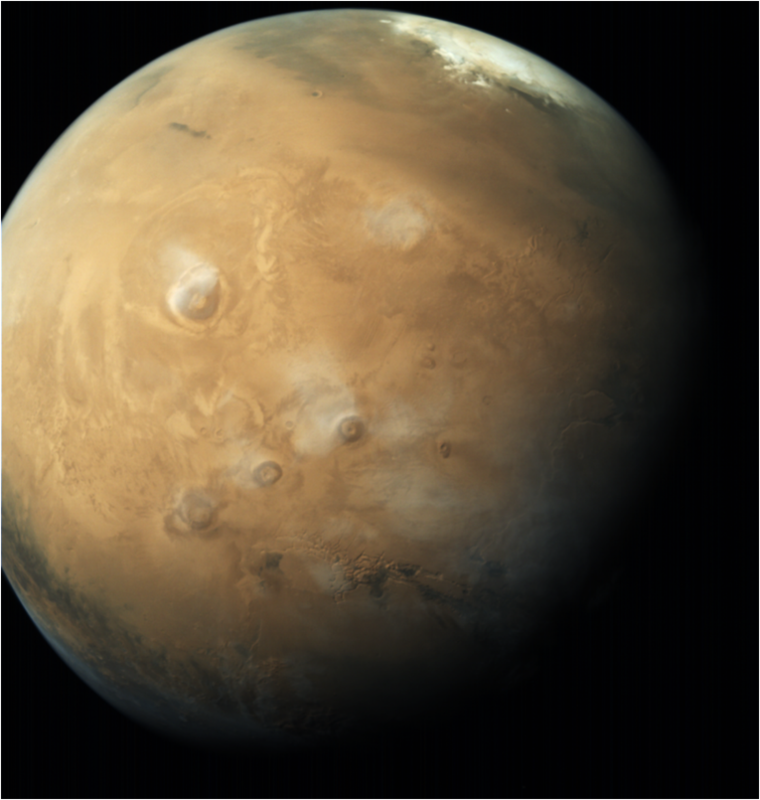 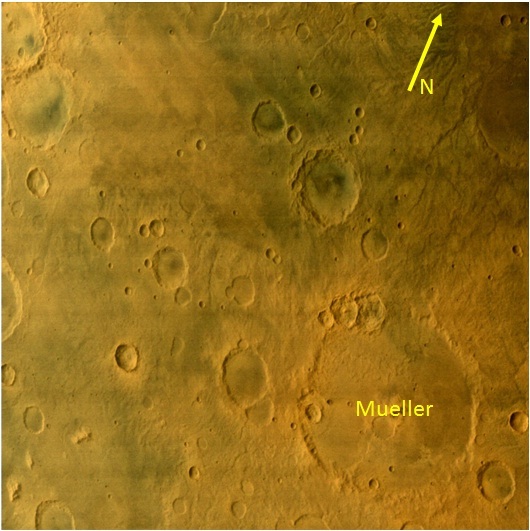 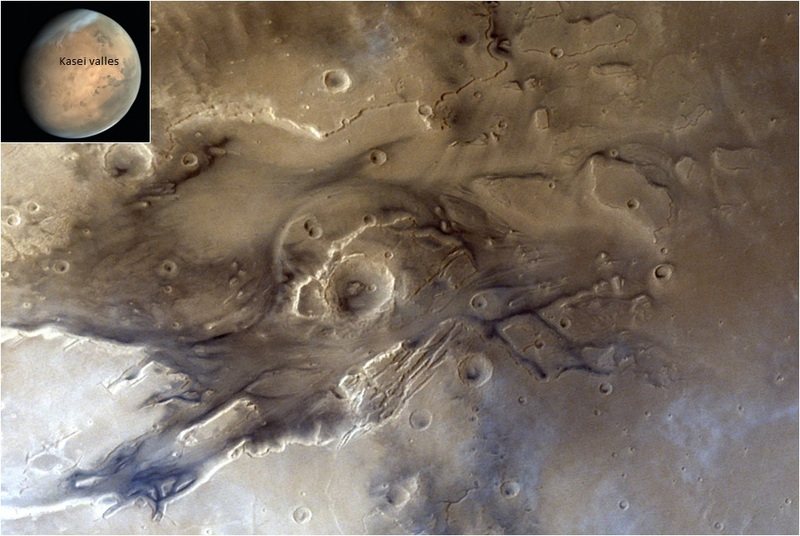 The figure shows Mars Colour Camera (MCC) picture taken on March 18, 2018 showing Martian disc imaged from an altitude of 8,387 km with a Spatial resolution of 436.21 m. Olympus Mons is a major volcanic mountain in the Tharsis region and is the tallest planetary mountain in entire Solar System with Its summit (arrow) height of about 21 km above datum. 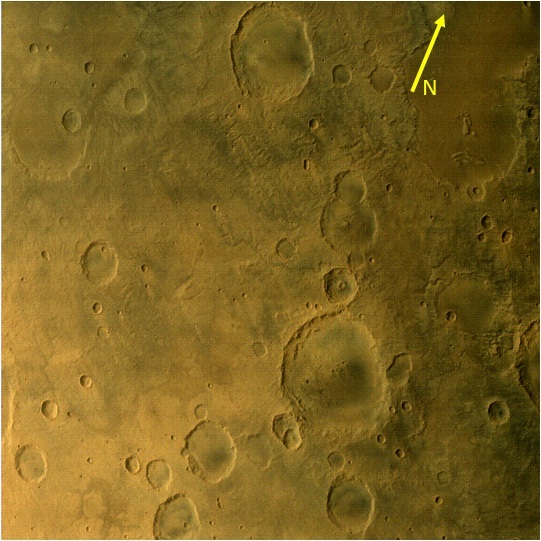 Mars is in ~145o solar longitude (Ls). 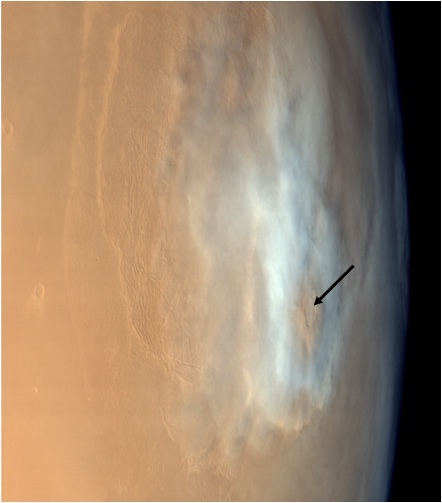 The cloud formation around Olympus Mons is seen.